Coastal Play is a children's soft play area for children aged toddler to 10 (height restrictions will apply and take precedence over age). We provide a huge play area that includes 2 Bouncy Castles, one with slide, Soft Play Pods & Shapes, plus Bouncers, Inflatable Pitch and toddler area. It's a great space for running around and letting off some steam - especially when the weather outside's not so nice! Coastal Café is a seating area within the hall where parents can see children at all times while enjoying a coffee and snack. The Bettridge Centre is an independent community-owned and managed facility which offers a wide selection of activities for the whole ​community and for visitors to the area. ​This is our current Annual Review. Don't forget to take our survey about The Garage redevelopment project - please follow this link. We want to ensure that everyone's views about the future of the centre are taken into account. This will help to ensure that what we do results in the best possible outcome for both us and the people who live in the area we serve. ​We've published a questionnaire in the latest edition of the Newsey and there are also hard copies and large print versions of the questionnaire at the centre. If you'd prefer to fill in an online version please follow this link. We are still keen to encourage as many people as possible to get involved with the project - whether it would be offering your services for a specific piece of work or joining the project team for the duration - we would be delighted to hear from you. ​Please call us on 01569 731320 or email info@bettridgecentre.org.uk. 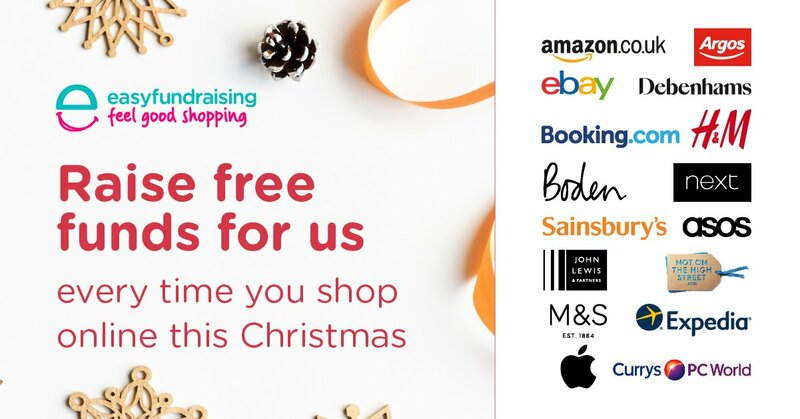 When you shop online, follow this link and a donation will be made to the centre for every purchase you make through EasyFundraising. You can also raise funds for the centre by selecting us as your cause on Amazon Smile - all at no cost to you! Just follow this link. or drop us a line via our Connect With Us page. ​Could you be a friend to the Bettridge Centre? As we’re sure you all know, the Bettridge Centre has a Management Committee, and paid staff, however, there are maintenance works that need to be carried out which could end up costing us quite a lot of money. That’s where YOU come in! Do you value our community-owned and run Centre enough to become a Friend? We have resurrected the Friends of the Bettridge group, which in the past, was a group of volunteers with the Centre’s best interests at heart, who were willing to give up a few hours here and there to do some painting, sell tickets at an event, maybe help tidy out some cupboards, build some shelves and other wee jobs. Do you think you could be a Friend to the Bettridge Centre? If so - great! Each time we are running an event, or planning some maintenance works, we will post up a date and time, and let you know what help we need. For example, when running a film screening, we might need people to sell the tickets on the door, and someone to help man the Cafe. You can then pick and choose what you would like to help out with and how much time you’re happy to give.